This book offers an exciting look at art economics (artonomics?). Seriously. Why are you laughing? If you’ve ever wondered how, as the cover depicts, a stuffed shark might fetch $12 million, this is the book for you. It covers auctions, dealers, critics, museums, specific artists/sales, and so much more. One of my favorite sections is about how color relates to price/desire. This title is pretty self-explanatory. Thornton dives head first into seven of the art world’s most well-known arenas, beginning with “The Auction” and ending with “The Biennale.” She offers a wide view of the art world at a specific span of time (the late 2000s) by running its bases for the reader’s benefit. Lives of the Artists seems like one of those books you might be assigned in grad school (in a good way). If you can’t tell from my list and a conspiculous lack of Renaissance and ancient art texts, I’m a modern/contemporary art fan. On top of that, I’m fascinated by how artists work, so vignettes into their lives really works for me. Art and crime are two of my favorite subjects. Add them together, and I am a happy, happy girl. Well, I mean, I don’t like crime, per se, but I like reading about crime. Do I wish the Scream had never been stolen? Yes. Do I want to read about it since it was stolen, as this book accounts? YES. This book is in my purse right now, just waiting for lunchtime to roll around. I miss Serial and I need some intrigue in my cultural consumption. 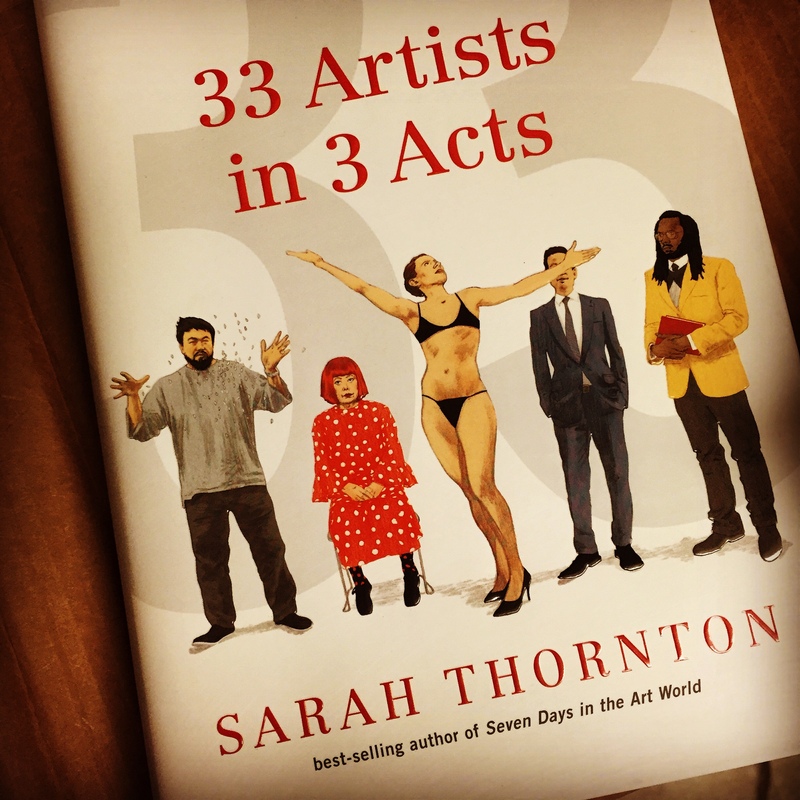 Sarah Thornton’s follow up to the aforementioned Seven Days in the Art World gets an automatic spot on my reading list. The description alone was enough for me to bite: “Every year, millions of museum and gallery visitors ponder the modern art on display and secretly ask themselves, ‘Is this art?’ A former director at London’s Tate Gallery and now the BBC arts editor, Will Gompertz made it his mission to bring modern art’s exciting history alive for everyone, explaining why an unmade bed or a pickled shark can be art—and why a five-year-old couldn’t really do it.” Yes, let’s all learn how a five-year-old really couldn’t do it, folks. Really, really. REALLY. Author’s note: I sourced links from Amazon, but, if you want to buy independent, allow me to recommend Parnassus Books.